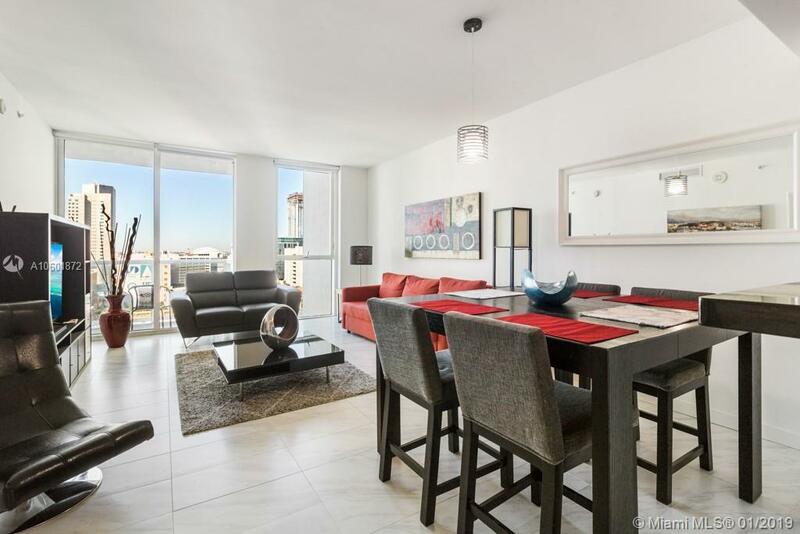 AMAZING 1/1 UNIT in sought after Vizcayne Condos. WASHER/DRYER, WALK IN CLOSET & PRIVATE BALCONY. Very Spacious. Steps from everything Downtown and Brickell have to offer. Live, Work and Play in new Downtown Miami. Vizcayne's amenities are 2nd to none. A three-story posh Club House stores a magnificent gym, spa, club room, and several ultra comfort and business areas with WiFi though out. The club deck is equipped with a movie theater with reclining plush chairs, pool, and ping pong tables. 4 swimming pools await you on the luscious 2-acre pool deck overlooking the waterways of the beautiful Biscayne Bay. Comes with one garage space. Vizcayne is minutes to everywhere. South Beach, Coral Gables, and the Airport are just a short drive away. The best place to live in downtown Miami.